Meet the fine folks behind Lori's Voice. Dave Hastings is Lori's husband and serves on the board. Lori Hastings is the president and founder of the board. Duane Kluting is treasurer of the board. Marj Williams is secretary of the board. Ray Breiding is trustee on the board. ​Scott Noto is a trustee on the board. ​Marianne Hunderman is a trustee on the board. Lori Hastings is the founder and president of Lori's Voice. Lori's love of children and reading has inspired her to write a book series using a voice activated computer. Each story has been written to encourage children to become the very best they can be. Lori hopes to touch the hearts of children and realizes the many challenges young people face when living with a disability. Living with a disability herself, Lori understands the medical needs that are not always covered by insurance. It is her goal to make a difference by assisting these precious children with the tools that will enhance their lives and let them be kids.. Lori and her husband Dave have three adult children and enjoy spending time with their nine grandchildren. Dave Hastings is Lori's husband and is on the board. A retired service provider for UPS and an avid outdoors man, he mainly serves as Lori's hands and feet. Dave has a great love for his children and grandchildren and has been blessed to watch Lori flourish in the midst of her adversities. His love and compassion for his wife has motivated him to encourage her to write. He is very excited about this new adventure and is looking forward to the many children this organization will help and the new people he will meet along the way. Duane Kluting is the treasurer of Lori’s Voice. Having known Lori her entire life he has witnessed first hand her personal journey. 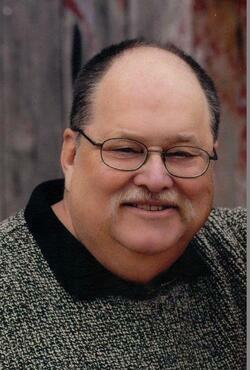 Duane is a retired marketing/financial executive and CPA with many years of business and consulting experience. He serves on the Board of Directors of various companies and leads or is active in many organizations at his church and his grandchildren’s school. He has also chaired or served on committees for the Catholic Diocese of Grand Rapids and St. John’s Home and is currently a trustee and chairman of the Holy Spirit Parish Educational Foundation. Being blessed with healthy children and grandchildren has helped Duane realize there are many less fortunate families. He believes Lori’s Voice is a wonderful way to directly influence the lives of children and families who have genuine needs. ​Ray Breiding is a retired Healthcare Executive. He has served as a Hospital Administrator, Healthcare Director for a national insurer, Executive Director of an HMO and PPO, Administrator of several multi-specialty physician group practices and General Manager for a national home infusion company. Ray holds a Masters Degree in Healthcare Administration and a Masters Degree in Business Administration. He is a Lifetime Fellow in the American College of Healthcare Executives holding both regional and national appointments. Ray is active in numerous church and local organizations and works with the disabled as a reader for SIGHTSEER Radio based in Grand Rapids. Scott Noto is a Grand Rapids native. He received his Bachelor’s Degree from the University of Chicago in 2000 and his law degree from Loyola University Chicago School of Law in 2004. He was in private practice for a number of years before he commissioned into the United States Army Judge Advocate General’s Corps in 2009. He served on active duty as a Judge Advocate in the United States Army Airborne, Fort Bragg, North Carolina, and as a Trial Defense Counsel at Fort Stewart, Georgia. In 2014, he was honorably discharged and returned to west Michigan to resume private practice. His military awards and badges include the Army Commendation Medal, the Army Parachutist Badge, and two sets of foreign jump wings. Scott is an attorney with Willis Law, practicing in the areas of civil litigation and criminal defense. He remains active in the United States Army Reserve. He lives in Grand Rapids with his wife and four sons and attends Sacred Heart of Jesus Parish. Marianne Hunderman-Marianne’s commitment and passion to helping children with disabilities runs deep. Not only does Marianne have personal experience as a mother to a child with disabilities, but she has dedicated her time and energy to nonprofits that support this mission. Her family story began with their biological children, Jadin, Bryce and Gabrielle, and continued with Ericka, Marianne’s 10-year-old daughter who came to them as a foster child when she was 18 months old. Unaware of Ericka’s challenges, Marianne and Chad sought immediate medical treatment to determine how they could help her grow and flourish as a young child. Diagnosed with Spinal Muscular Atrophy, they adopted Ericka when she turned three and added two additional children to their family, Vincent and Cebastin, who are originally from the Congo. In addition to joining the board of Lori’s Voice, Marianne is the New Family Coordinator for the Michigan chapter of CURE SMA, chairs the Children’s with Special Needs Fund and recently started her own nonprofit, Every Child Included, that plans to help special needs children and their families with enjoying life in a handicapped accessible park with go carts, a play-ground and activities to enjoy together.